The mission of the Van Buren Elementary Media Program is to promote effective use of information and resources while developing an enthusiasm for reading thereby creating lifelong learners and readers. 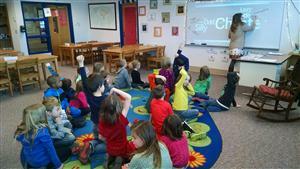 Each kindergarten and 1st grade student may check out one book for as long as one week. 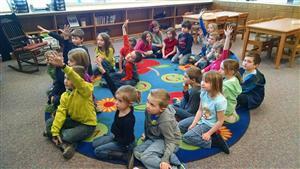 Kindergarten students do not take their library books home; they keep their books at school. Each 2nd grade student may check out two books for as long as one week. Each 3rd—5th grade student may check out three books for as long as one week. Students may renew items for additional weeks until they have finished the book. There are no fines for overdue materials however, students are expected to return their books on time. If a student loses or damages a book beyond reasonable repair, they must pay to replace the item. Gifts are always appreciated. They may be added to the media center collection, given to teachers, distributed to students as rewards or donated to the public library.